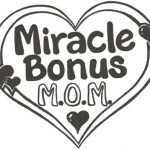 Welcome to the member’s only section of our Miracle Bonus webpage! Put universal user information for using all forums in a New Topic and mark it “Sticky” (Under Topic Type) like this! Through friendship, experience, education, ideas and family-inclusive social activities.